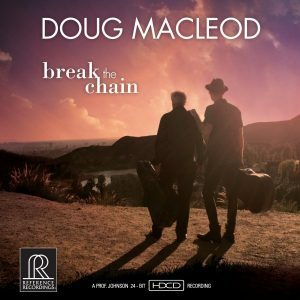 The title song “Break The Chain” is the most personal song that Doug Macleod has written to date. Dealing with the subject of abuse, it is something that Doug claims he experienced growing up and it brought forth an anger within him. While attending therapy for this anger, he learned that those who have been abused tend to become abusers themselves. But when his son Jesse was born, he looked at the child and told himself right there and then, there is no way that I am going to allow that cycle to continue. It’s not going to happen. I am breaking the chain. To bring the message home, Doug write the title track with his son Jesse, who is himself a gifted performer and songwriter in his own right. Doug opens the song telling everyone that “you have the power to make a change, you have the power to stop the pain, you have the power to break the chain.” It is relaying how your children look up to you. Don’t make them fear or hate you with your actions, and mostly don’t let that chain of abuse continue through them too. The song’s final verse has Jesse declaring because his father took that step, he is a free man and doesn’t carry that chain around himself. It has been broken and he vows to keep it from taking hold upon the family again. 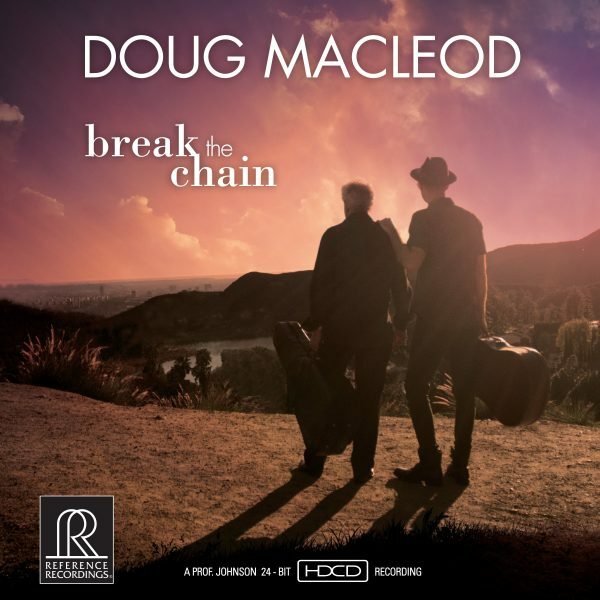 As always with Doug’s recordings, he has a message to deliver, and “Break The Chain” is not the only thought that he wants you to ponder. In his own way, through seriousness or even with humor, he wants you to think. “Who’s Driving This Bus” is a social and political statement as an example. He is shaking his head at our leaders. Those people in the power to make decisions that will affect us all, and their choices are not always necessarily for the better. On “Travel On” he wants you to move forward, even when things don’t appear to be going in the direction you’d prefer. If you keep looking ahead to the positive, you’re going to get through the low periods. Once again, Doug MacLeod has brought the strength of Denny Croy and Jimi Bott back into the studio to back him on rhythm. He also includes famed percussionist Oliver Brown on a handful of tracks, as well as mentioned earlier his son Jesse MacLeod on guitar and vocals on the final number. But as everybody knows, Doug’s true strength is his ability to deliver his music on his own, the way he mesmerizes an audience on stage, and he does just that on a few selections on this excellent recording, too. Anybody who has seen Doug in concert knows first-hand how he can spin a tale or make you think even when he is not playing his guitar. For the first time on any of his studio recordings, he offers a spoken sermon here with “What The Blues Mean To Me.” It is a message he has addressed many times throughout the years. How the blues are a music about overcoming adversity, not subjecting to it. The blues aren’t about feeling bad. The older bluesmen used humor to make things look better, or as they would say, “they’re laughing just to keep from crying.” It is the same thing he tells us in “Goin’ Down To The Roadhouse.” The way to get ahead in life when things aren’t looking too hopeful, is to look at everything positively and greet everyone with a smile. Have a sense of humor, not only about others, but about yourself, too. Get out and enjoy life, don’t just sit around feeling sorry for yourself. Live! 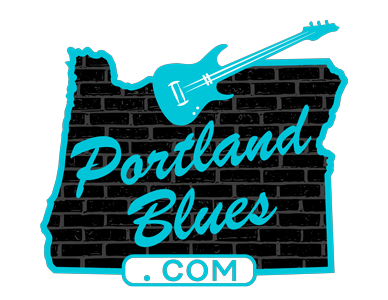 Doug MacLeod is the premier storytelling musician in the blues today. It can be humorous or to the point, but he is always uplifting in his messages and worth giving a close listen to every time. With Break The Chain he has surpassed himself once again.